The Kilchoman 2007 Vintage is the oldest single malt Kilchoman has released to date and recently won the Whisky Advocate’s Award for Islay Single Malt of the Year 2013. 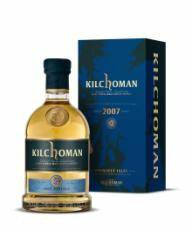 Renowned whisky connoisseur, Dave Broom, says of the Kilchoman 2007 Vintage: “Kilchoman has truly arrived. Buckle up, this is going to be some ride. Here is a whisky which not only showed the difference between age and maturity, but was the first demonstration of the distillery itself reaching maturity, quicker than anyone might have imagined. 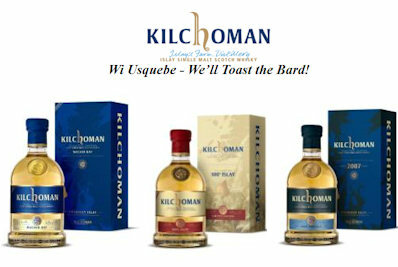 Single malt is all about distillery character and here you can see what Kilchoman’s is. Perfect for the ‘Toast to Robert Burns’, Kilchoman 2007 is priced at £51.60 for 70cl and is available direct from www.kilchomandistillery.com and specialist whisky retailers. The unique 100% Islay is the only Single Malt in Scotland where every stage of the whisky making process, from the barley grown in the surrounding fields to the malting, distillation, maturation and bottling, takes place at the distillery. On the palate, peat smoke explodes in the mouth with sweet soft mixed fruit very evident, making the 100% Islay the ideal accompaniment to Haggis, Neeps and Tatties. 100% Islay is bottled at 50% ABV and is available from specialist drinks and whisky stores, priced at RRP of £59.95, 70cl. 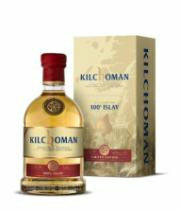 Available from www.kilchomandistillery.com and The Whisky Exchange. Only 10,000 bottles of the limited edition are available worldwide and are selling fast. Machir Bay is bottled once a year, and each release contains more mature casks allowing connoisseurs of Kilchoman to follow the development of the unique malt as it matures. The nose of Machir Bay is soft, cooked fruits with strong peat aromas and the taste is of mixed fruits and vanilla with an intense sweetness, the perfect measure for the ‘Toast to the Lassies’ towards the end of a Burns’ supper. First launched in 2012, Machir Bay has since won several prestigious awards including IWSC 2012 Gold Medal – Best in Class and Whisky of the Year at the International Whisky Competition. 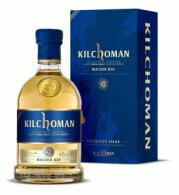 The Machir Bay is priced at RRP of £39.99 and is available from www.kilchomandistillery.com, and UK specialist drinks and whisky shops. Machir Bay 2013 is bottled at 46% ABV.